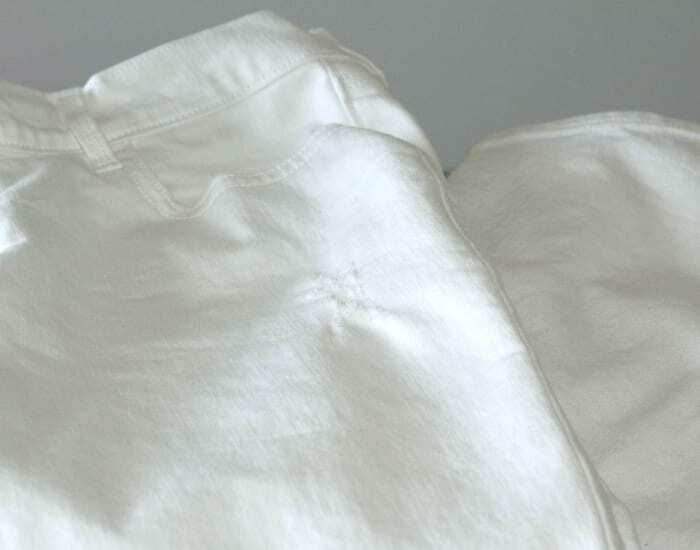 I love to wear the latest trends, like white denim. But as a working mom of a toddler, the latest trends and messy hands don’t always go hand-in-hand. 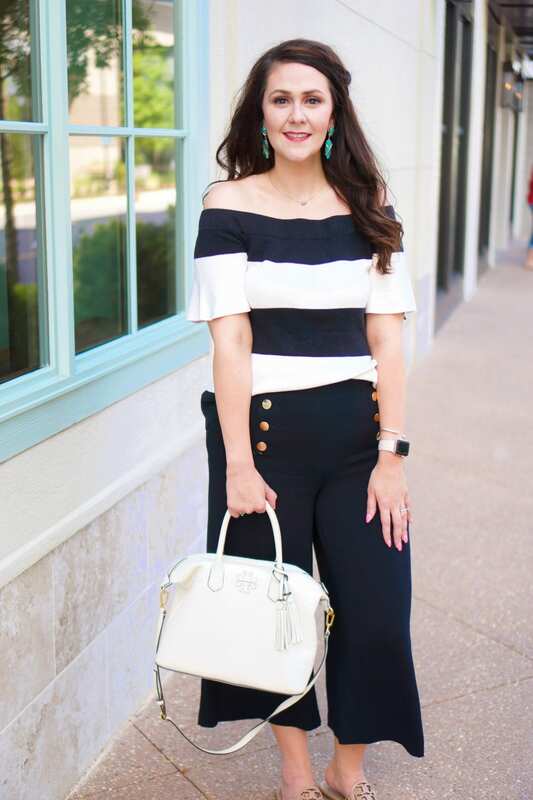 I don’t buy clothes just to throw them out when they get dirty, so I’m sharing my go-to stain fighter to keep your clothes fashion blogger perfect! 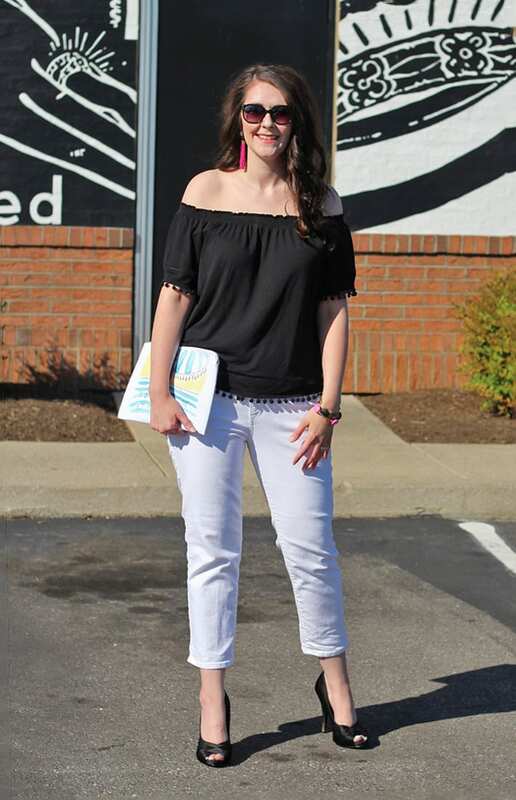 I recently shared this outfit featuring my favorite white denim. What I didn’t share is that afterwards, we went out to eat and then hit up the playground with Kane. I live in the moment, and can’t worry that I’m going to ruin my clothes while I’m out having fun. Needless to say, I came home with a few stains, including a shoe print near my knee and some sort of orange-y/red stain near my pocket. 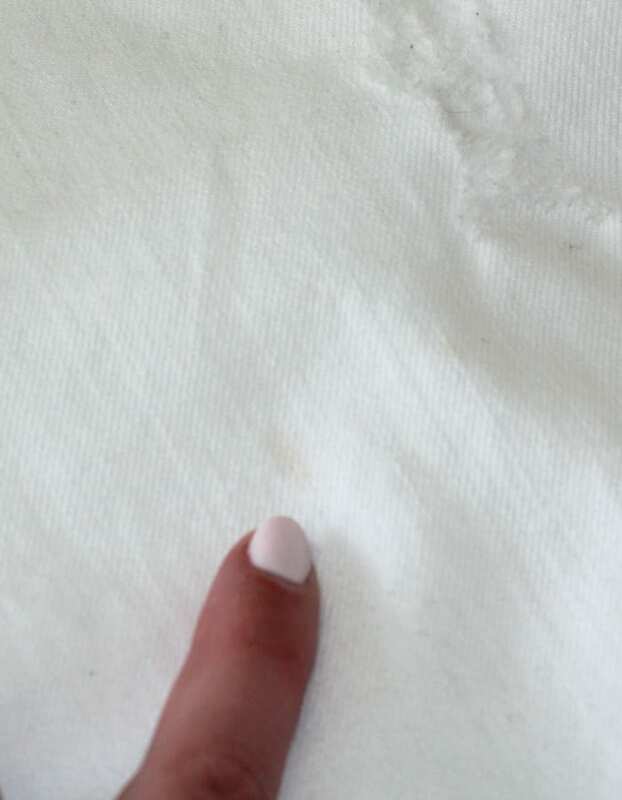 Of course, I didn’t spot the stains until I was ready to put the clothes into the washing machine a few days later. Oops. 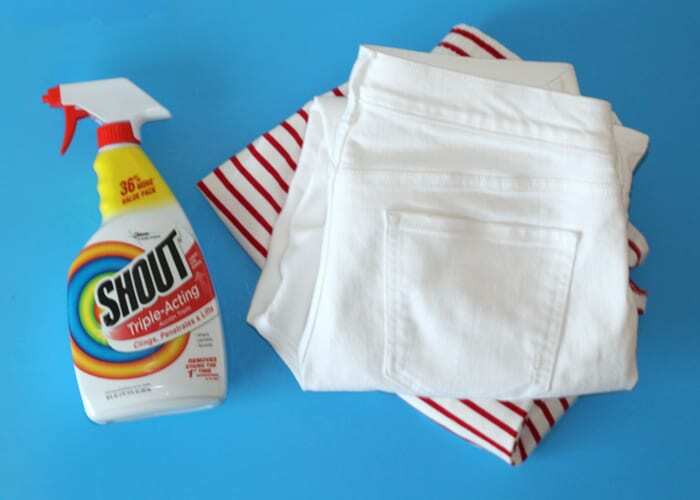 I don’t have time to try six different stain remover recipes from the internet, so I pulled out my go-to, Shout® Trigger Triple-Acting Stain Remover, and went to work. First, I soak the stain with cold water. 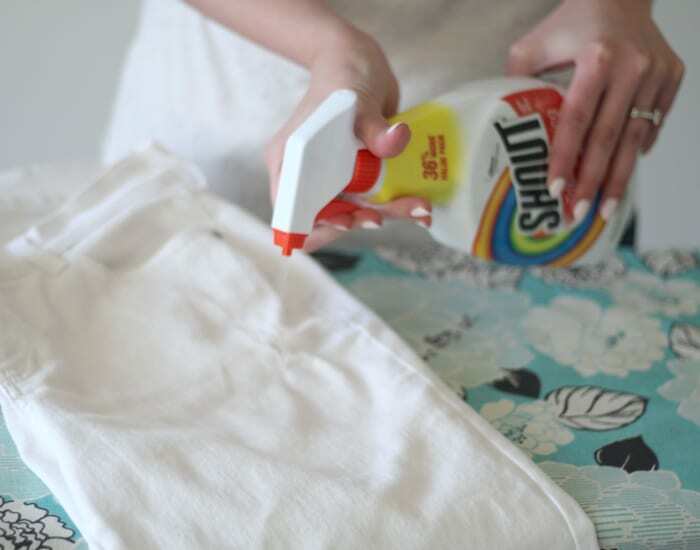 I spray on a decent amount of Shout, let it set for a moment, and then rub the fabric together to get the Shout® into the stain. 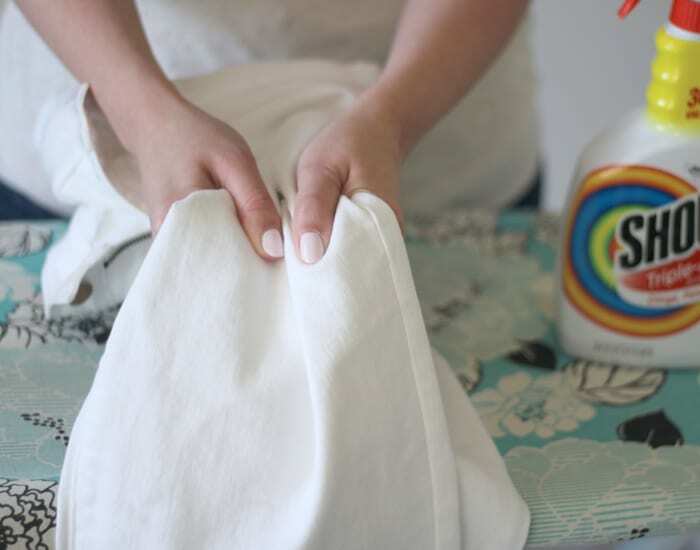 If it’s a really bad stain, then I let the Shout® Trigger Triple-Acting Stain Remover soak in for 30 minutes before throwing the clothes into the wash. Here, my pants came out stain-free so that I could wear them another day! 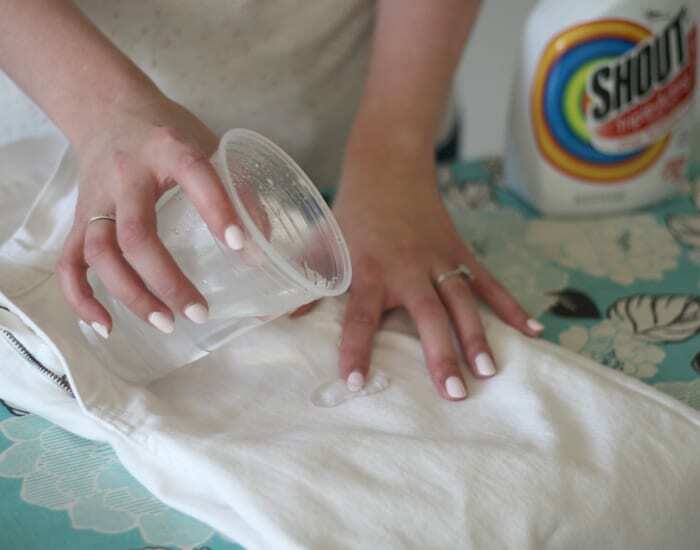 Shout® Trigger Triple-Acting Stain Remover saved the day again! That’s because the triple-acting formula clings to and penetrates the stains to lift them away. It works in all water temperatures. I also don’t have to worry about it ruining the color of my clothes, because it’s safe for all colorfast washables. 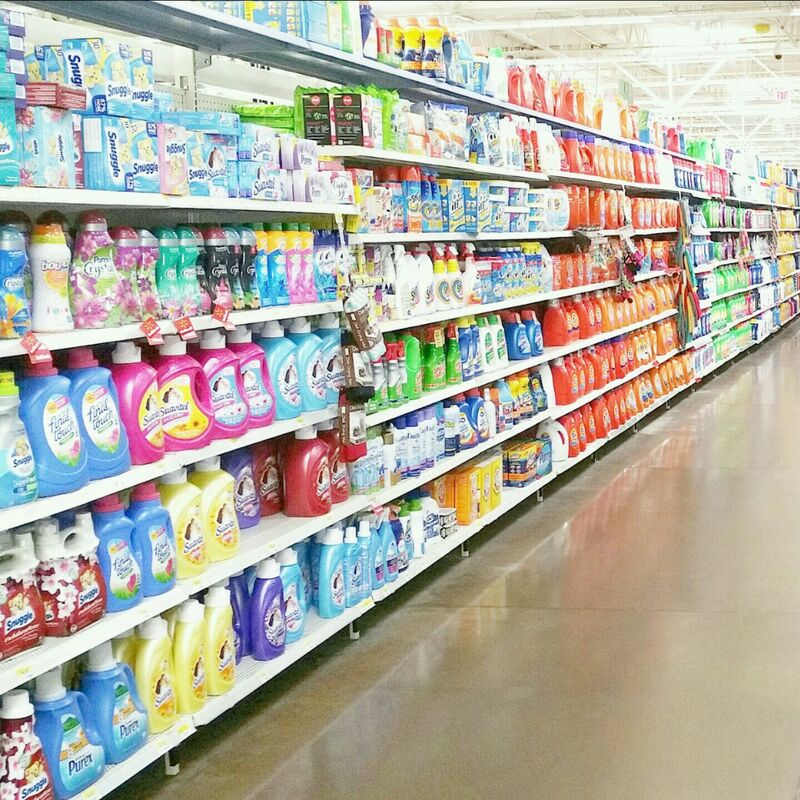 You can pick up your own Shout® Trigger Triple-Acting Stain Remover in the laundry detergent aisle at your local Walmart or order online at Walmart.com. And be sure to check out Shout® Solutions or the Shout® Youtube channel® to get even more ideas on how to fight the new generation of stains!